^ Sweden's Prime Minister calls fresh election. [3 December 2014]. （原始内容存档于2018-07-05）. ^ Veckans Affärer. Veckans affärer. [3 December 2014]. （原始内容存档于2018-07-05）. ^ Sweden faces polls after PM's defeat. BBC News. 2014-12-03 [2018-09-09]. （原始内容存档于2018-08-02） （英国英语）. ^ Stefan Lofven: Sweden's parliament ousts prime minister. BBC News. 2018-09-25. 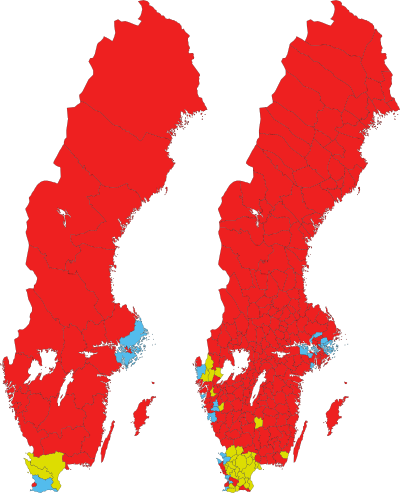 ^ Sweden's PM Stefan Lofven makes new alliance for minority government. DW. 2019-01-18.